Not so long ago blogging about schools in Suffolk would have been a bit boring. Nothing much changed. Maybe a new Head arrived or a school got an outstanding Ofsted or another went into Special Measures but by and large things stayed the same. A bit boring perhaps but it was at least stable. Now there is so much news I could actually write about four blog posts just with news form the last day or so. Yesterday Suffolk County Council's cabinet unanimously backed a resolution to press ahead with the Thurston partnership proposals. Graham Newman, Cabinet member for Education asked his fellow Cabinet members to put their trust in a proposal backed by 18 Headteachers and his colleagues backed him by deciding to publish the relevant statutory notices and continue the process to move to two tier in Thurston area. Local Councillor Joanna Spicer was not so keen claiming news about the proposed Ixworth Free School would be more "exciting". Well maybe for her. 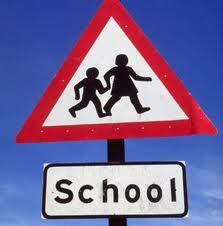 But the local Primary Schools in the area can now all get on with planning to take an extra two years worth of children. This is maybe not very exciting or headline grabbing but for the schools involved, the children and local communities this is an important decision. The Thurston proposal also showed what can be achieved by local schools working together in partnership. The Cabinet then went to to approve £5.5million in funding to develop plans for the transition to two tier in the Stowmarket area. This follows the last minute change of heart by the Department for Education on bids for academy status from the Middle Schools in that area. This is another welcome move by Suffolk County Council who deserve credit for trying to see through the move to two tier despite the difficult circumstances caused in no small part by Government policy. The Council have engaged with the Government and persuaded them to change their minds and then gone on to back transition plans. This all seems to have gone very quiet but there were suggestions at Cabinet that there would be some "exciting" news soon. There had been some speculation about who would actually run the school with the proposers appearing to effectively rule out bringing in a private company as has happened at Brandon. However it has now emerged that the proposers have been in discussion with the Seckford Foundation who run the fee paying Woodbridge School. If indeed Seckford are drafted in to run the school this will be the fourth free school bid they will be making in Suffolk. And none of these schools are actually open yet. I am a little surprised that the Seckford Foundation have not opened one school and then gained some more experience before bidding for at least two others. Before Christmas SABRES (Save Beckland School) Education announced the award of a contract to Profit making Swedish firm IES. It has now emerged that the school is going to be called "IES Breckland". I must say I find this a little strange as IES have not sponsored this school but they have been awarded a contract to run it for a period of time. If another company wins the contract when it ends presumably the school would be re-named and a bit ilke the trains I commute to work in they would be re-branded. I am not sure this is a healthy thing for a school. Keep in mind that, when money comes from Government per head of child, county councils keep approx 15% before it is passed onto schools - this will no longer be the case. The management fee will certainly be much less than 10%. Now the problem with keeping this in mind is that it isn't accurate. Suffolk County Council keep 8% which is hardly approx 15%. By their own admission it looks like they are actually paying IES more to run the School than the supposedly high overheads of the County Council. Now it is true that Suffolk has a particularly low top slice but that is hardly the point as Breckland school is in Suffolk! So much for saving money. It does not surprise me that this is costing more as IES needs to return a profit for its Swedish owners. Last night the Seckford Foundation who propose opening a free school in Beccles held an open meeting. There is an interesting report of the meeting in the EDP. Interestingly the meeting was Chaired by independent adjudicator Rob Cawley from Cambridge Education, who have been employed by the Department for Education to see if the bid is viable. There were 36 people in support, 26 against and 16 undecided on the free school. This hardly seems evidence of overwhelming demand. Seckford have already had to back down from their plans to open on the former Middle School site in 2012 as the building had already been promised to (and is needed by) Sir John Leman High. I hope that the DfE will look again at this proposal and seriously reflect on the viability of two schools in Beccles. The Foundation themselves don't appear to be too sure that there are enough children to support two schools. They have identical template websites for their free school bids but it is notable that the Stoke by Nayland school site goes into considerable detail to answer the question Are there enough children in the area to support Stoke by Nayland Free School? But on a pretty much identical page on the Beccles Free School Site the question is missing altogether. Clearly this isn't because nobody has asked it. And that is about it! Well for today. I used to think education was a bit boring in Suffolk. Not these days. And however exciting any ideas may be I think schools need more stability and part of me longs for the more boring days to return!